Getting late in the morning after a Saturday night party with friends, I did the first thing of the day which I do usually. Switched on the Wi-Fi, checked for the emails and Whatsapp messages. The first message flashed on a group was about the demise of the Sridevi. Taken aback, I went to Google news to confirm as social media is full of crap and false news at times. It couldn’t have been a bigger shock than this for me. I just sat quietly and tried assimilating this news. For me it wasn’t just as simple as a death of Bollywood icon alone, it was the end of someone who kept my teen years captivated. During the era of no internet, WhatsApp, Facebook and video games - Sridevi at the screen, Becker- Edberg at Wimbledon and PT Usha at the sprinting track were the few icons who kept me enthralled when I was going through my teens and entering into adulthood during later half of the eighties and early nineties. I remember that after my 8th-grade final exams, my father, who wasn’t a movie buff himself, asked me “hey, get ready. I am taking you to the movie which you will enjoy”. A bit amused though, I accompanied him. It was Mr. India; which in fact remained the only movie which my father showed me on his own. Notwithstanding, Mogambo Khus Hua and that invisible gadget, it was Sridevi who kept me spellbound. The song 'Hawa Hawai' was beyond the barrier of highest of splendours. Back home, next thing I did was that I hired a VCR and saw all those Sridevi flicks which I hadn’t seen till then – Himmatwala, Tohfa, Aakhiri Rasta to name a few. More I saw her on screen, more I was enchanted. The Eighties was a typical time. By 1983-84, best of Amitabh’s years were over. Despite talented Anil Kapoor, Sunny Deol and Jackie Shroff, the film industry was looking for next big star to fit in big shoes of Amitabh, and that was the time when best of Sridevi chipped in. There was a time in the eighties when Bollywood was relying heavily on the unending magnetism of her. The situation remained the same till 89-90 when first Madhuri Dixit and then Khan Trinity (Amir, Shahrukh & Salman) hit the scene. Her charm was unimaginatively high and unparalleled. When I entered in engineering college, as a weekly movie show at the in-campus open-air theatre, 1986’s movie Chaalbaaz was filmed. We were awestruck by her aura which she brought in the role which hardly lasted for 10-15 minutes in the movie. No doubt, she stole the show despite all-other typical Feroz Khan flicks in the movie. Her charisma was intact even in her later years during the nineties and despite a whole new generation of actresses. Remember Khuda Gawah, Laadla and Judai, where she ruled in her late twenties and early –thirties. She redefined the lead romantic lead with all-time classics like Lamhe and Chandni. Then her double role in Chaalbaaz is beyond words, even a notch above Hema Malini in the original Seeta aur Geeta. Sridevi was like Rajesh Khanna for Bollywood. The way Rajesh Khanna was the first superstar among male stars; she was the first superstar among actresses. When I am still trying to cope with the shock, all that I can say is "Thanks a ton Sridevi for the joy you brought to me and millions of your fans. Rest in peace”. 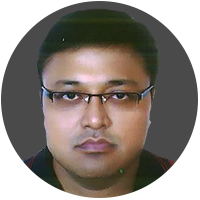 Pankaj Agrawal is an IIT graduate with deep passion for sports, history and politics.